Liz, a 53-year-old grandmother with greying shoulder-length blonde hair and a matter-of-fact demeanor, recently took a job in Bend to be closer to her daughter and grandchildren in La Pine. But her coworkers don’t know that the new hire, who shows up to work on time and doesn’t believe in taking days off, is homeless and had been sleeping in her car in the company’s 5 acre parking lot before she found the Bethlehem Inn, a decade-old program in North Bend that serves 1,000 people each year with housing, food and other services. “I’m probably not your typical homeless person, if there is a ‘typical’ homeless person. It’s not typical for me,” she clarifies. “I’ve never been homeless.” When Liz—who declined to give her last name—decided to leave her job in the Eugene/Springfield area, she never imagined she’d end up in a homeless shelter. She works full-time and says she has a clean rental history, without evictions or late payments. She does not struggle with mental illness or addiction, and she is not fleeing an abusive relationship. But, like a growing number of individuals and families in Bend, Liz quickly found that having a job, savings, and a spotless history does not guarantee housing in a rental market with a mere one percent vacancy. Moreover, because her daughter lives in subsidized housing which doen’t allow overnight guests more than 14 days per year, turning to family members for housing hasn’t been an option. “Right now I know several individuals and families that have the resources to move into housing, but they cannot find rentals which they can afford and that will accept them,” says Bethlehem Inn Managing Director Chris Clouart. Advocates at the Oct. 4 Homelessness Leadership Council meeting echoed this concern. Kenny LaPoint, director of housing and resident services for Housing Works, says he’s in the process of giving out 50 rent vouchers, but worries his clients won’t be able to find a landlord to accept them. 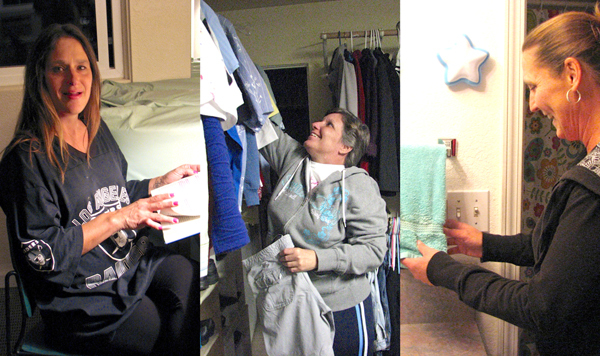 With beds for 126 singles and 5 families, Bethlehem Inn is the only emergency shelter in Central and Eastern Oregon. Currently, it houses 76 adults and 17 children, though staff expect the empty beds to fill up as winter approaches. For the first time, Bethlehem Inn hit capacity last winter and, say administrators, now even seasons like the warm summer months are now experiencing an increased need.